Aruba is a very popular vacation destination. How many times have you heard pop culture references and figures of speech about traveling to Aruba? Then you have the simple fact that the icon of a travel destination is what it is because millions of people travel there each year. Are you in search of the best Aruba vacation rentals? Get yourself situated with the best lodging accommodations so that you can enjoy the following top-ranked attractions in Aruba. Eagle Beach is one of the places you will certainly want to check out if you go to Aruba. White sand beaches await you, and you have to see the pictures of the ocean. The water is gorgeous, and of course, that is what you expect from such a tropical vacation destination. Reviewers mention that there is a low-rise hotel beach area and a high-rise hotel beach area, two different stretches. They say the low-rise hotel area is better, so maybe that gives you an idea about the Aruba vacation rental you want to book. Initially, I would want to book a high rise based on my experiences elsewhere. However, after reading that advice from vacation goers in Aruba, I might have to change my mind. Arashi Beach is another popular beach you might want to check out after you check in to your luxurious vacation rental in Aruba. And then there is the Butterfly Farm. At the butterfly farm, you are going to see tons of beautiful butterflies. It will most likely be the most butterflies you have ever seen at once. There is a koi pond there, too. It sounds like a very cool place to visit, and it’s off the same road as Eagle Beach. What else is there to do while you are in Aruba? Well, there is a Natural Pool that you might want to check out after looking at pictures. It looks so amazing, and I have to say that it is a place that I would have to stop by for a swim and some pictures. One reviewer talks about stopping by there on ATV day. Are you going to get on an ATV, too? Who knows what all adventures you will go on, but you will certainly be prepared after checking out Aruba vacation rentals for your trip. It is time to enjoy the vacation of a lifetime. 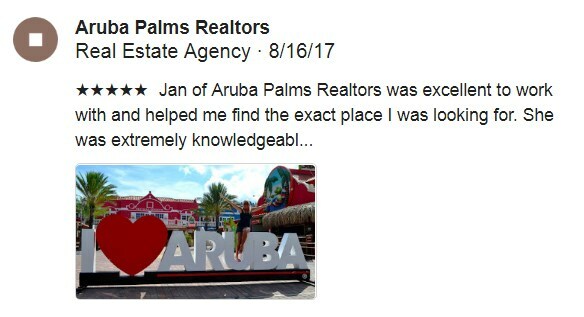 While you are in Aruba you might want to check-out the homes for sale.